Product #16152 | SKU ACC-XP-WHD-ARROW | 0.0 (no ratings yet) Thanks for your rating! This Wireless X-Port Dock attaches seamlessly to the back of your DP7-PRO-HIGH-BRIGHT or DP7-PRO-OLED via the built in X-Port. When attached you can quickly attach your wireless third party accessory* (*not included) like the Paralinx. 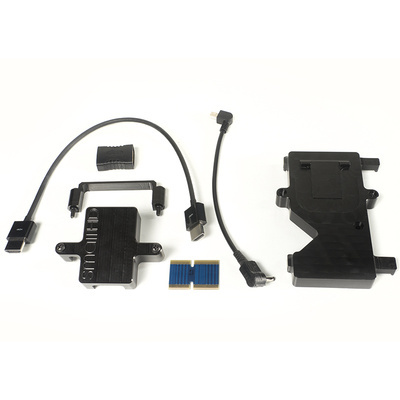 This kit includes the docking attachments and cables for the Paralinx Reciever and transmitter! Important: You must have Firmware V2.0.4 or higher installed on your DP7 for optimal performance.